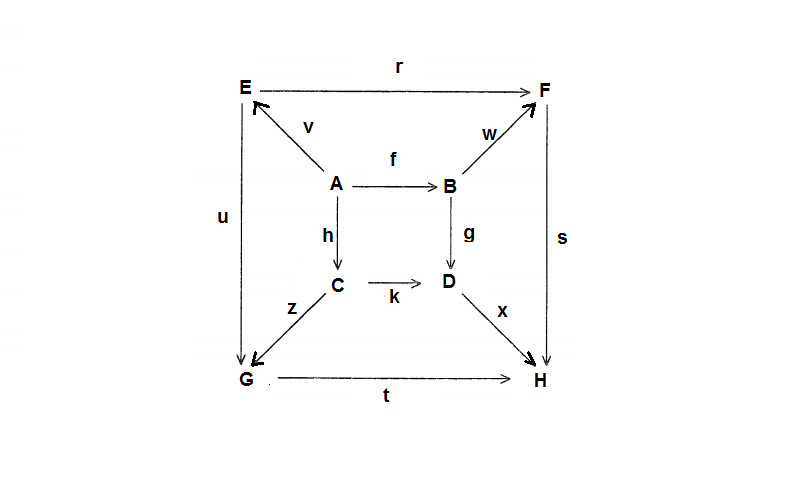 (1) To prove that the diagram is commutative, we needs to prove that $gf=kh$, $wf=rv$, $zh=uv$, $sw=xg$, $xk=tz$, am I right? $sr=tu$ needs to be included in the conditions, it does not follow automatically. To see this let all the other maps be 0. What if $E,G,H$ all equal $\Bbb Z$ with $u,t$ the identity map, and all other rings are the zero ring. I think that might be a counter-example. Not the answer you're looking for? Browse other questions tagged abstract-algebra ring-theory category-theory modules diagram-chasing or ask your own question. How to complete the diagram so that it becomes commutative? What information about a ring does the category of modules of this given ring contain? Are noetherian modules over noetherian ring and artinian modules over artinian ring finitely generated?